This was a custom order requested from a man that had purchased a ring from me about a month before. 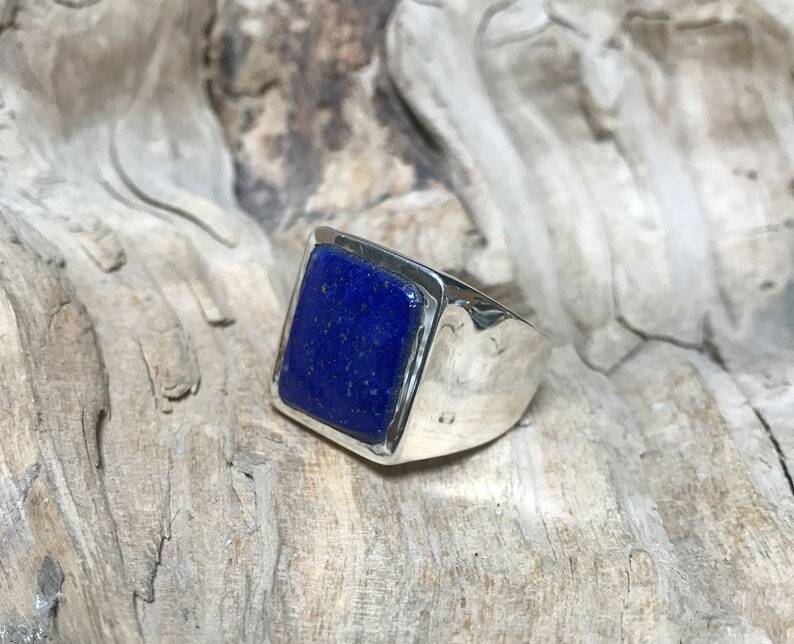 He asked if I could do a nice heavy ring with Lapis so this is what I made It is Sterling Silver and measures 3/4 by 5/8 inch (20 x 17mm). I can make this style ring with other stones. I can use your stone if you like.